With our three away bouts behind us, we are rolling into our home season. 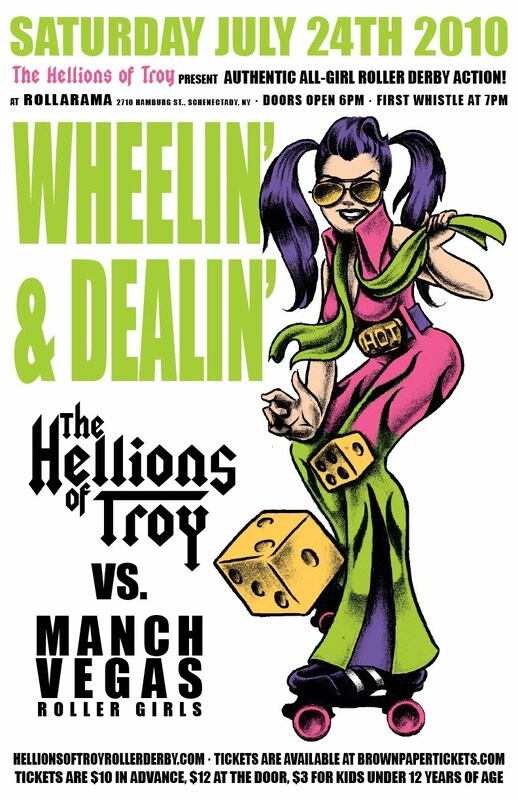 Check out the poster for our next bout, coming up in July against the ManchVegas Roller Girls from Manchester, NH! Hope to see you there! Afraid you'll forget? Here's the facebook invitation. Be there or be a four-sided regular polygon!